Today in the ‘rock room’ I am enjoying one of the few and rare recorded live documents of The Doors to circulate from their first year of major popularity, 1967. Early recorded performances are at a premium in the case of the Doors with the recently released 1966 London Fog fragment and the famed Matrix recordings from 1967 being the foundational recordings available to fans. The Peter Abram’s recorded 1967 Matrix recordings deserve an entire chapter of their own to tell the story; but know that the dialog regarding the prior and future release of these tapes continues to this day. In 1967, prior to legal issues, drugs, alcohol, women, money and the trappings of fame destroying the spirit of Jim Morrison and the successful internal dynamics of the Doors as a band, the group was ascending rapidly due to the stratospheric popularity of ‘Light My Fire’. The concert field recording I am listening to today comes from this era of extreme popularity and immortalizes the band in a perfect moment of discovery, companionship and musical power. 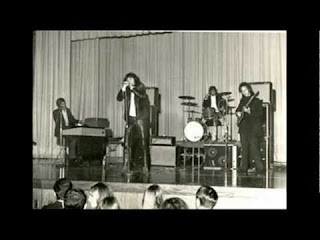 Touring in support of their second album Strange Days, this had been released the previous month, the October 11, 1967 performance features focused playing by the Doors and a eager and enthusiastic Jim Morrison. The concert was originally scheduled to take place at Western Connecticut State College but due to repairs taking place at the arena on site the concert was moved to the Danbury High School Auditorium. This is quite an auspicious venue for such a group of dark musical vagrants like the Doors. Reports are that the ‘gymnasium’ had 2,000 people in attendance for the one hour concert taking place for the aforementioned college’s ‘Fall Weekend’. Lucky for us an enterprising member of the faculty decided to record the concert via 2 on stage microphones, the result being a well balanced and ambient capture of the Doors at their early musical peak. Morrison is notably sedate when compared to the upcoming December appearance in New Haven which would result in his arrest, but the focus on this particular night results in a powerful Doors musical expression. The tape begins with a slightly ornery principal sternly telling the assembled crowd that there will be a 15 minute intermission, no smoking, and no one can leave their seats or you will be ‘escorted to the door’. After this buzz kill introduction the tape captures Morrison compadre Tom Baker stating, ‘The Doors, ok?’ as the band enters into a buoyant and bubbly ‘Moonlight Drive’. The ‘B’ side to the August 1967 ‘Love Me Two Times’ single ‘Moonlight Drive’ slithers silvery on Krieger’s blue slide guitar lines and Manzarek’s groove setting organ. The Doors distinctive instrumental aesthetic captures the crowd immediately while Morrison sings confidently and in seductive throat. The tape elicits some sonic anomalies that come and go but soon sort themselves out. There is a nice balance some slight hiss, but a wonderful eyes closed ambiance that encourages headphone lights out concentration. ‘Moonlight Drive ‘percolates through its lunar changes before turning stormy for Morrison’s atmospheric reading of the poetry verses of Horse Latitudes. Densmore, Krieger and Manzarek militarize the groove of the song underneath Morrison, while he theatrically croons the verses. The band climaxes fittingly before reprising the verse of ‘Moonlight Drive’ and reaching the songs finale. Morrison lets out a substantial ‘yeah’ that segues to the inquisitive introduction to ‘Money’. Krieger remains on slide and he and Ray cash in as they both take a solo swing around the verse melody. The band is sunk deep into a rich jangling pocket from which emerges a call and response between Morrison and Krieger during the outro. Morrison plays with the girls in the crowd as Densmore clicks out the boss nova beat of ‘Break on Through’. What follows is a textbook reading with heated and frayed edges from the rising from the lust of the live performance. Morrison lets out a ‘come on baby’, ‘you’re my girl’ amidst a series of sensual asides. Manzarek’s organ bass is picked up loud and clear on the recording pulsing underneath Krieger’s thick rope guitar lines. Mid song Morrison leads the band through the unique to live performance ‘There You Sit’ segment. The dynamics drop and the groove intensifies. Ray and Jim get together joining forces while breaking down musical walls revealing the ‘other side’ and initiating the group to a thrilling conclusion. An early stand alone ‘Back Door Man’ comes next and is ushered in with a conglomerate of Morrison grunts, chuckled, squeals and groans. The Doors concert standard is played with a menacing gusto with the band locked into a blues groove. Morrison sings about ‘having the right’ during the ‘pork and beans’ section of the track before screaming the backing trio back into the song proper. Drawing cries of appreciation from the audience a rare performance of the current September 1967 single ‘People are Strange’ follows. The song allows for a mid concert respite and offers a picture perfect studio rendition spotlighting the instrumentation and songwriting that made the band a unique commodity for the time. An always welcome ‘Crystal Ship’ continues in a mellow and mysterious vein. The recording reveals Densmore’s careful and lucent cymbal work in addition to Manzarek’s special organ work during the solo interlude. Without his usual sustain Manzarek’s solo offers a cool uniqueness to the performance. While the vocals are somewhat distant, as typical to this performance Morrison is fully into putting on a show for the assembled patrons. One of the excellent aspects of this recording is how Morrison peppers the show with fragments from his famous opus, The Celebration of the Lizard, which was in its formative state. Morrison invites the crowd to ‘Wake Up!’ and in what would later become usual practice, prefaces an expansive version of ‘Light My Fire’ with a dramatic poetry prelude. Krieger uses a shimmering and multi dimensional tone during Morrison’s reading often spotlighted during this era and it lends a ethereal and spooky air to the proceedings. ‘Light My Fire’ ignites from the hallucinatory ashes of ‘Wake Up’ and spotlights a beautifully constructed version before the complacency of later years set in. Again, Ray plays with minimal sustain and lays clean and crisp quotes over the churning Densmore and Krieger groove. Morrison is getting off with shouts in between solos. Krieger then follows suit with an exploratory solo spot that highlights his melodic sensibilities. The tape contains an organic ambiance that really shines here and allows for timely inspection of the instrumentalists of the Doors. Setting the stage for the big conclusion of the concert, the remnants of crowd noise is joined by the sparse twinkling of Manzarek’s organ and the fearful wash of Densmore’s cymbals. An extended cool dusk introduction soon coagulates into a sonic alien introduction to ‘The End’. Krieger’s tangled licks defy categorization as the snake across the tribal melodies reverberating from Densmore’s taught skins. Approaching twenty minutes the band plies the song's arrangement which remains in constant flux like a soft warmed putty. 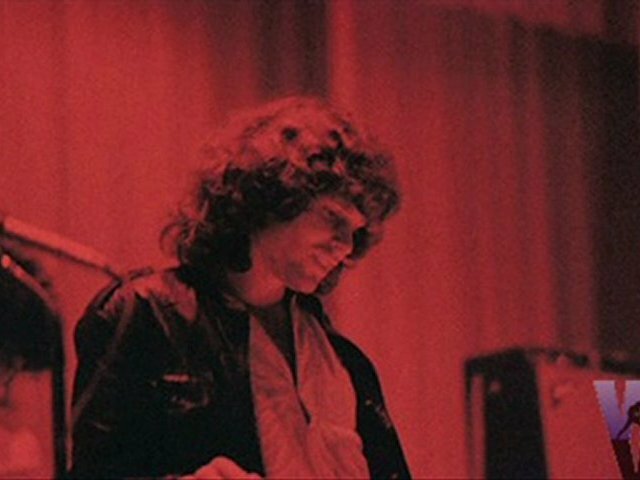 Morrison begins normally enough singing the intro of the song, but soon enters into the ‘Names of the Kingdom’ fragment from the Celebration of the Lizard. He tests the swirling band waters for a melody line which he can use. Morrison soon hits on one that works for the cadence of his poetry. Flying free, Krieger starts to prod Densmore and assists in winding the groove into a pressurized spring. Classic Doors. The music morphs organically before Morrison signals to ‘stop the car’ to which the band responds in kind. Morrison takes the opportunity to quote ‘I see your rider’, which in turn becomes lyrics from the yet to be released, ‘Who Scared You’. The music gets shaded and its dark blues becomes psychedelicized as the group ushers in the famous, ‘Killer awoke’ segment of the song. Patient and dramatic Morrison recites the section deadly serious to which Krieger responds with ominous and controlled feedback. The band shifts with every word, responding while slithering across rocks and keeping away from the light. The ‘Mother, I want to…’ lyric is reached and the ancient door is cracked revealing a stunning full band detonation. Morrison lets out a ‘yeah’ as the ‘blue bus’ jam enters and soon becomes an excited Indian swirl’. 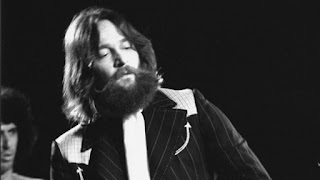 The band is now under deep hypnosis and the four members become a reptilian ghost, a single monster, with Morrison controlling the breath and movements. The band continues to swell, Densmore keeper of the ceremonial tempo understands that Morrison is peaking and pounds for his life. Morrison verbalizes the conjured beast and moans in dramatic sympatico. Krieger finger picks a supernatural chime that leads him to ascend and descend his guitar neck increasing the tension. The music reveals its cracks and speeds uncontrolled until a head on conclusion is the only reality. Stopping one inch away from certain demise and impact the band takes soft pause then proceeds to destroy itself in a sonic explosion. Reports are the Morrison smashed the microphone stand into the floor of the splintering stage at the climax of ‘The End’ and hearing the aural document it’s easy to visualize. The scars of Morrison’s battle ax remained for years as a reminder and imprint of the amazing musical exorcism that took place in a New Haven high school gymnasium in 1967. Amidst the sonic chaos and debris Manzarek brushes ample organ whitewashes that intertwine with Krieger’s typically demented guitar drones until a full circle is reached and connected. The band finishes in glorious fashion, obviously having spent their musical savings. The crowd responds in excitement and awe. The MC from the introduction of the concert has obviously been moved by this performance as his return to the stage is underlined with the simple comment, ‘wonderful show’. While an obvious understatement, there is really nothing else to add as what has taken me numerous overblown lines to express; he hit firmly on the head.